Genetic testing today is mainstream, marketing to consumers who want to know where in Europe they came from or what types of hereditary diseases they could develop. For around $200 you can trace your family tree to learn your origins or identify genetic abnormalities that could signal disease. 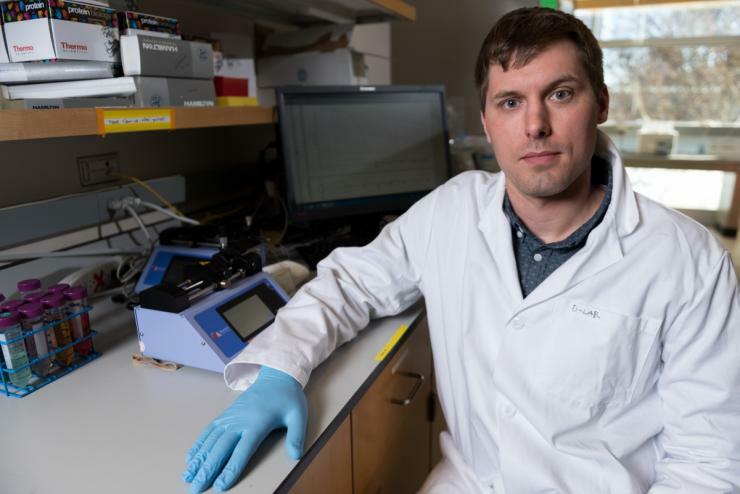 James Dahlman, assistant professor in the College of Engineering’s biomedical engineering department, specializes in genetics and believes these genotyping services can be helpful, as long as they are used responsibly. Dahlman is fascinated by genetics, citing gene therapy as the most interesting field in the world. And it’s a field that he is revolutionizing through his research. Gene therapy is an experimental technique that uses genes to treat or prevent diseases, including hemophilia, Parkinson’s, cancer and HIV. 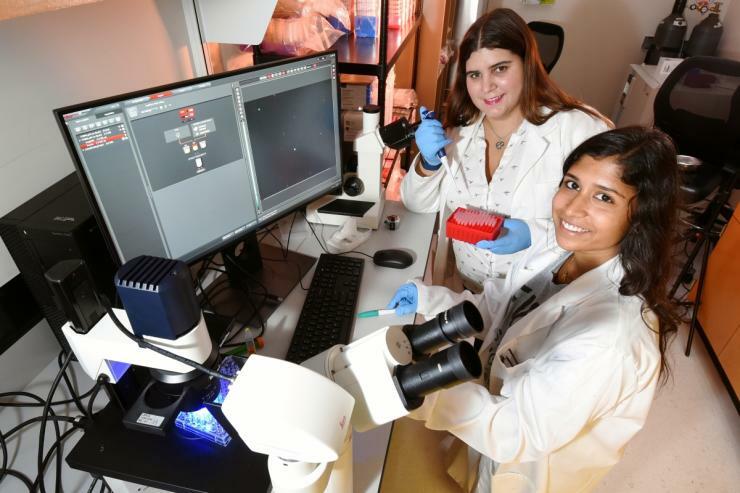 It can help manage a number of diseases by leveraging genes instead of drugs or surgery. Although gene therapy shows promise, there are still risks involved, including unwanted immune system reactions or the risk of the wrong cells being targeted. That’s where Dahlman’s research comes in. Dahlman’s lab focuses on drug delivery vehicles, which are nanoparticles. The nanoparticle delivers gene therapies to the right place in the body to fight disease. It’s critical that the gene therapies only target the unhealthy cells to avoid damaging healthy ones. Dahlman is laser focused on ensuring the nanoparticles know what paths to take to reach the correct organ to start the healing process. Dahlman is redefining the field of genetic therapy with a testing system he invented called FIND (Fast Identifiable Nanoparticle Delivery). During the course of identifying effective nanoparticles for drug delivery, thousands of nanoparticles must be tested, which presents scalability issues. Mice must be used for the tests because a cell plate isn’t going to replicate organs in the human body. But ethically, researchers cannot inject thousands of mice for an experiment of this magnitude. So Dahlman developed a testing system that leverages DNA barcodes (a stand-in for the actual drugs) to label each nanoparticle. Once those are injected, researchers can see where the barcodes went in the mouse. For example, if a significant number of barcodes numbered 30 all went to the heart, Dahlman can deduce that the nanoparticle represented by barcode 30 is best suited for that organ. Dahlman’s research and barcoding system has universal implications; he is designing testing systems that everyone can use. Labs across the country can leverage FIND to accelerate their studies. 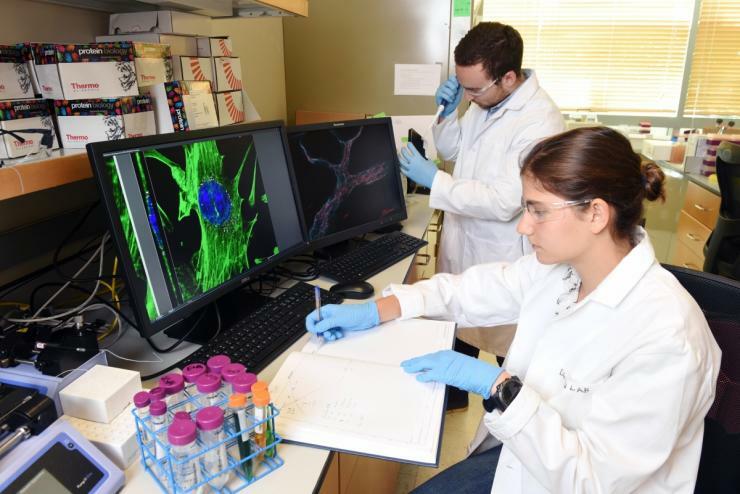 If the technology is used by more labs, Dahlman believes it will increase the rate that gene therapies are developed, advancing the entire field. Non-liver gene therapy delivery is one of the biggest challenges today that Dahlman hopes to contribute to with his work. The liver has been easier to target with gene therapy because of its filtration system; larger blood vessels let the nanoparticles pass more easily into the organ. Diseases such as hepatitis and cirrhosis have responded well to gene therapies. After 12 months, Dahlman’s lab is coming into its own with nine graduate students and four undergraduates working in the lab. Much of the energy and excitement in Dahlman’s lab come from the fact that he is a young professor. He’s only 30 and easily relates to the students in his lab. Dahlman’s had great experiences with faculty members too and describes senior faculty as extremely helpful and supportive. Dahlman’s personal and professional goal is to be working on high risk, innovative science for as long as possible. He never wants to be in a rut, and he wants to have the courage to pursue interesting and risky science even if lower risk work is safer. In his lab, his goal is to produce great students. In 20 years, he wants to see his students as leaders in the field.